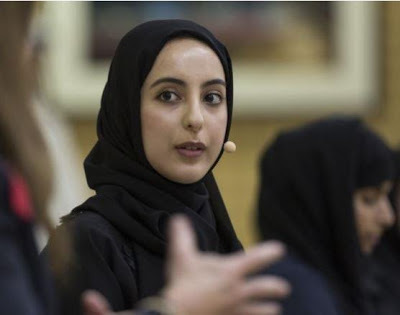 In February 2016, the United Arab Emirates (UAE) Vice President and Prime Minister, Sheikh Mohammed bin Rashid Al Maktoum appointed Shamma Al Mazrui as the country’s youth minister. (how old is Nigeria's youth minister, again? lol). The announcement officially made 22-year-old Mazrui the world’s youngest minister. Her appointment came two years after graduating from the New York University (NYU), Abu Dhabi with a degree in Economics, and just after she’d earned her Master’s from Oxford University as a Rhodes Scholar. Mazrui was selected to lead the country’s younger generation and forge links between them and the country’s public entities.